This edition of brewers introduces a touchscreen for an enhanced operation experience, allowing users to customize recipes with Visually Intuitive Programming™. 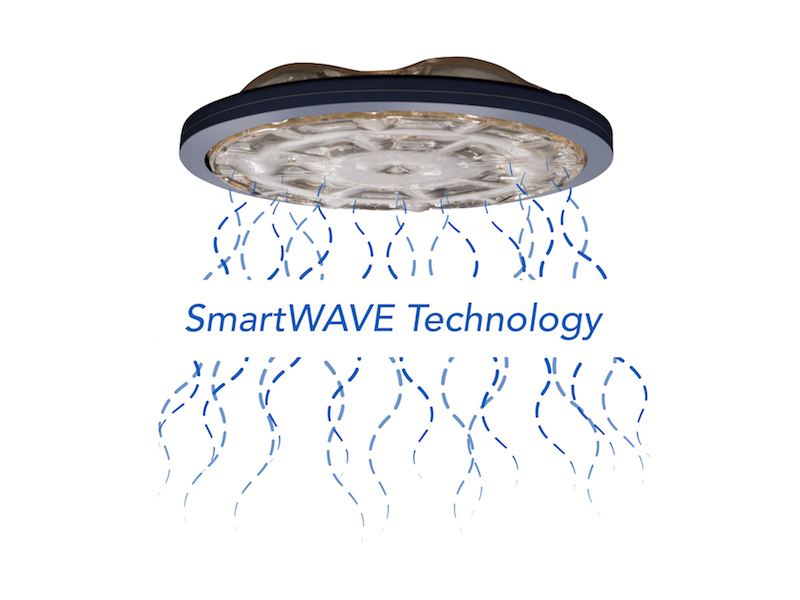 The powerful duo of a BUNN-exclusive Peak Extraction™ Sprayhead coupled with SmartWAVE® technology delivers increased turbulence in the coffee bed during brewing, unrivaled uniformity of extraction, and complexity in the finished beverage. 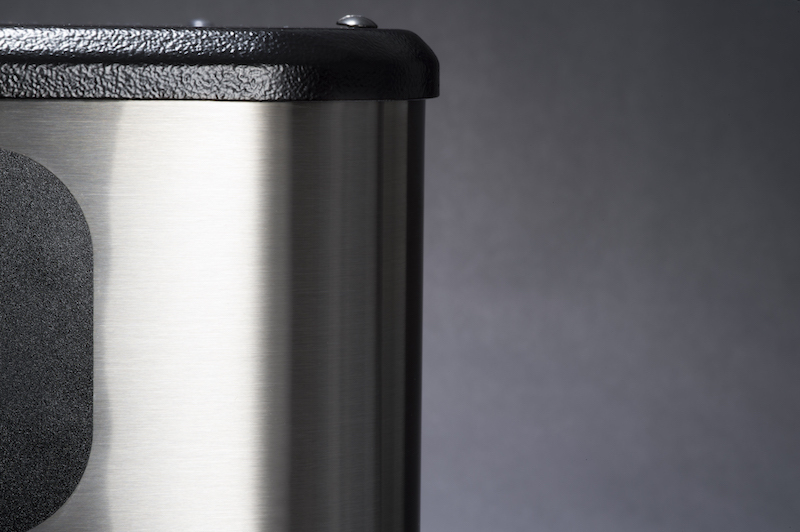 TDirectional spray streams provide complete coverage of the coffee bed within the brew basket, ensuring even extraction of coffee grounds. Complete coverage of the brew basket ensures even extraction of coffee grounds. 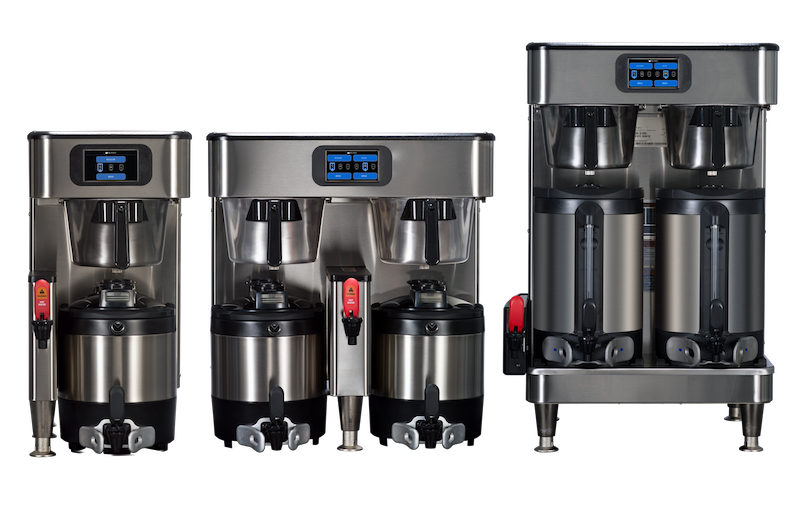 Platinum Edition models are also equipped with SmartWAVE® a timed air purge at the end of the brew cycle, removing residual water from the sprayhead. This reduces lime build up and ultimately extends the life of the equipment. A 4.3” touchscreen is equipped with Visually Intuitive Programming (VIP) for ultimate control of dialing in coffees. This high-resolution screen uses an icon-based navigation to allow for simple recipe development, review, and adjustments. Create up to 30 custom recipes, with 16 preset names out of the box. A Funnel Lock protects the operator from removing the brew basket during programmed coffee and drip out cycles. 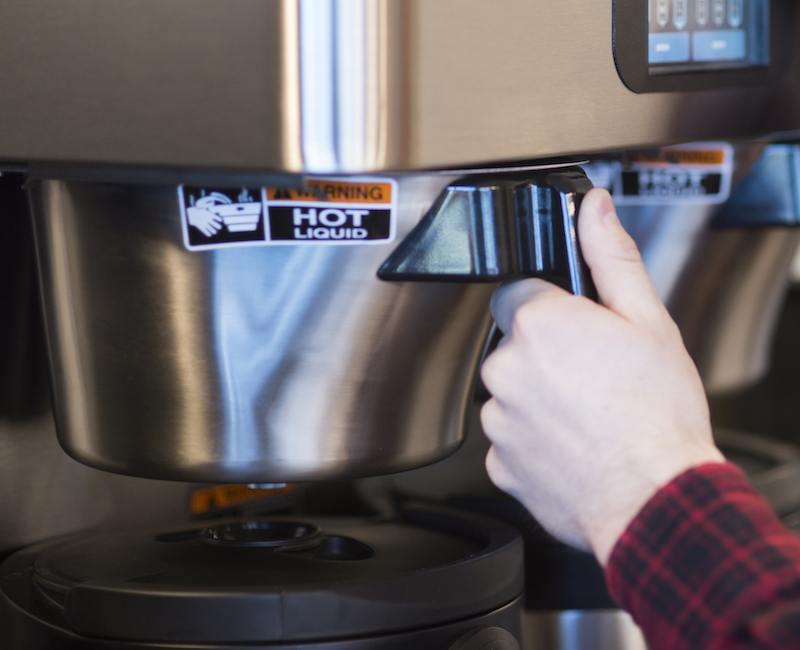 SplashGard® in the brew basket directs the hot brew water and warm coffee grounds away from the operator’s hands, and the repositioned fast flow hot water faucets are ADA compliant. Rounded edges and contrasting stainless steel and black colors create a distinctive front-of-house look. This design language carries across the entire platform and coordinates with newer server and grinder models. Ready to learn more about Infusion Series?